SNAP collaborated with the Global Campaign for Equal Nationality Rights, The Brunei Project and the Institute on Statelessness and Inclusion to develop a joint submission to the Human Rights Council at the 33rd Session of the Universal Periodic Review on citizenship, statelessness and the enjoyment of fundamental human rights in Brunei Darussalam. 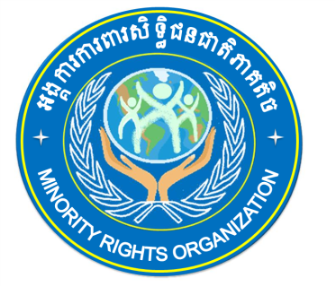 SNAP collaborated with the Minority Rights Organisation, Khmer Kampuchea Krom for Human Rights and Development Association, Institute on Statelessness and Inclusion and Minority Rights Group International to develop a joint submission to the Human Rights Council at the 32nd Session of the Universal Periodic Review on discrimination, statelessness and related human rights challenges in Cambodia. SNAP collaborated with Boat People SOS and the Institute on Statelessness and Inclusion to develop a joint submission to the Human Rights Council at the 32nd Session of the Universal Periodic Review on the challenges pertaining to citizenship, statelessness and the enjoyment of fundamental human rights in Viet Nam. SNAP collaborated with the Institute on Statelessness and Inclusion, the Global Campaign on Equal Nationality Rights, and a number of SNAP's members in Malaysia (DHRRA Malaysia, Voice of the Children, and Yayasan Chow Kit) to develop a joint submission to the Human Rights Council at the 31st Session of the Universal Periodic Review on the human rights challenges pertaining to statelessness in Malaysia. SNAP is partnering with the University of New South Wales on a project aimed at mapping media reporting trends with respect to statelessness in Asia. By better understanding media reporting trends, the project aims to identify opportunities for engaging with the media on addressing statelessness. As result of this project we have developed a report analysing media reporting trends on statelessness in 11 countries in Asia (Bangladesh, China, Sri Lanka, Malaysia, Thailand, India, Japan, Nepal, Taiwan, Pakistan, and Myanmar), a complementary toolkit for engaging with the media in these 11 countries and a video that shares information on the work of SNAP’s members. We aim to launch the media analysis, toolkit and video in 2019. More information about the project can be accessed here. SNAP in collaboration with UNHCR, UN Women, the Norwegian Refugee Council, Seagull: Human Rights, Peace and Development and Institute on Statelessness and Inclusion have facilitated desk and field research on gender and the right to a nationality in Myanmar. This project has provided new insights into the barriers that women in Myanmar face in acquiring, confirming and retaining citizenship, as well as conferring citizenship to their children. The project was funded by UNHCR Myanmar and UN Women Myanmar and a report on the project’s findings is available in English. The report will also be available in Burmese in the coming months. The Campaign on Equal Nationality Rights, Forum for Women, Law and Development, the Institute on Statelessness and Inclusion, SNAP, Equality Now, and the Civil Society Network for Citizenship Rights collaborated to develop a joint submission to the Committee on the Elimination of Discrimination Against Women and the violation of women's nationality rights in Nepal. The Institute on Statelessness and Inclusion and SNAP collaborated with SNAP's members in Bangladesh to develop joint submission to the Human Rights Council at the 30th Session of the Universal Periodic Review in relation to statelessness, access to nationality and human rights in Bangladesh. The Council of Minorities and Namati (two of SNAP's members) collaborated to develop a joint submission to the Human Rights Council at the 30th Session of the Universal Periodic Review focused on the issues faced by the Bihari Urdu-speaking Linguistic Minority of Bangladesh. Women and children are disproportionately affected by statelessness. In recognition of this the SNAP will prioritise promoting collaboration on addressing statelessness amongst women and children. See our contribution to the European Network on Statelessness's Blog for further information on SNAP's activities focused on women and children. The Institute on Statelessness and Inclusion and SNAP collaborated with SNAP's members in Japan to develop a joint submission to the Human Rights Council at the 28th Session of the Universal Periodic Review in relation to statelessness, access to nationality and human rights in Japan. A child is born without a nationality somewhere in the world every 10 minutes. The report “The World’s stateless”, and its sister website (www.worldsstateless.org) lays bare the fact that there are over 6 million stateless children in the world today, a problem that is present in most countries and all regions in the world.